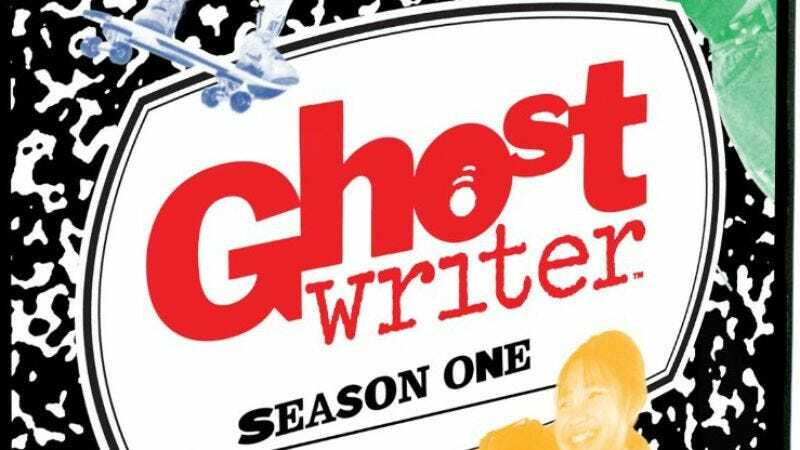 For a generation of book-loving ’90s kids raised on PBS, any passing reference to the 1992-95 educational series Ghostwriter is liable to cause pangs of nostalgia. Produced by the Children’s Television Workshop, an organization now redubbed Sesame Workshop in deference to its most famous creation, Ghostwriter centered around a group of mystery-solving New York teens whose investigations are aided and abetted by a hyper-literate ghost (the titular character) only they can see. It’s sort of like a hybrid of Scooby-Doo and PBS’ earlier The Bloodhound Gang, only with an admirable emphasis on the power of reading. Now, Eric Grundhauser at Atlas Obscura has talked extensively with supervising producer Miranda Barry for an article boldly called “Everything You’ve Ever Wanted To Know About Ghostwriter.” In the piece, Barry talks with great warmth about the show’s origins, casting, and production. The idea behind the series, Barry explains, was to create an educational series that would appeal to kids who had grown up on The Electric Company and Sesame Street but were ready to move on to something more mature. The show’s cliffhanger structure was devised to ensure repeat viewership, and a producer from MTV was brought in for her extensive knowledge of youth culture. Barry prides the show on its diverse writing staff who eventually developed the title character’s backstory as an escaped slave who had been killed by bounty hunters. Because the special effects of the show were so bleeding edge in terms of technology, we were really very involved with technology all the time on Ghostwriter. Not because we were trying to teach about it, but because we were trying to do things that often had never been done before. Certainly not on a PBS budget.